We will start sales of Z shorty series soon as we informed. You can connect it with motor chassis and play immediately after get it. Can be put any ROKUHAN container box on this carrier car. We will announce sales information once confirmed. Also we continuously develop another Z shorty bodies and chassis. Please wait future information from ROKUHAN. Notice of ROKUHAN showroom open time change. The same content is also posted on facebook. We are waiting for everyone's comments. Rokuhan Tokyo Showroom's Opening Hour! Thank you very much for your continued interest in Rokuhan! Rokuhan Tokyo Showroom opens in February 2019 as follows. A Happy New Year 2018 for all! We wish you a prosperous 2018 filled with health, happiness and success. Furthermore, thank you for your coming to our Rokuhan Tokyo Showroom. 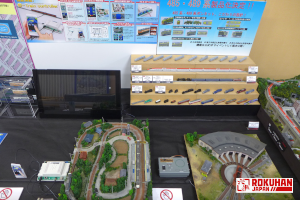 We received a large number of your visitors from the opening day. 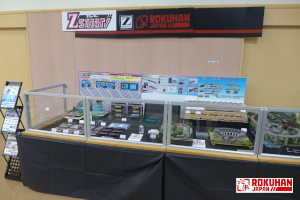 We would appreciate your continuous support for Rokuhan Showroom in Tochigi. Delivery of "Switch-Yard Set" will start in February 2018! 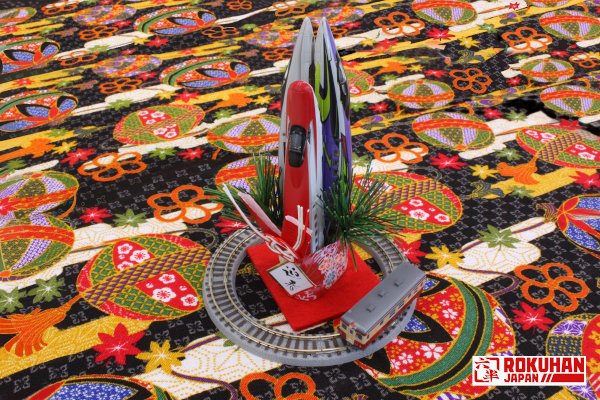 We Rokuhan will start delivery of "Switch-Yard Set" to be released in February 2018. 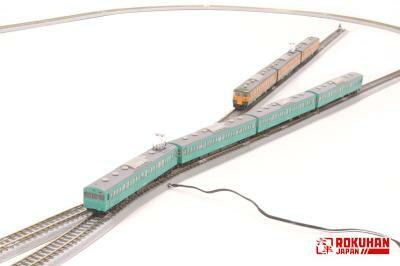 *This new track set is for make expanding your layout. 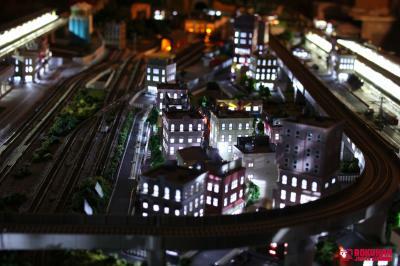 You can place a DE10 or freight cars the short yard track, as well as, switching, the longer yard track. 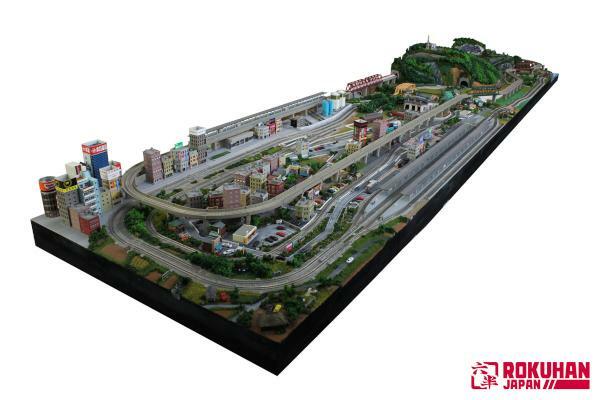 You can expand your train operations further by using our new e-Train controller C005 (DCC) which is sold separately. 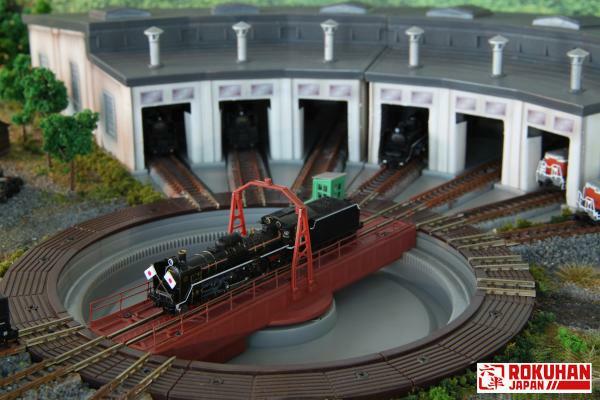 The R080 set is more reasonably priced than buying each piece separately. We recommended this set for new users, also expert users. 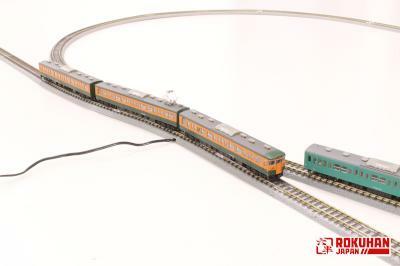 *It is an electric turnout which crosses the main track at a 13 degree angle. 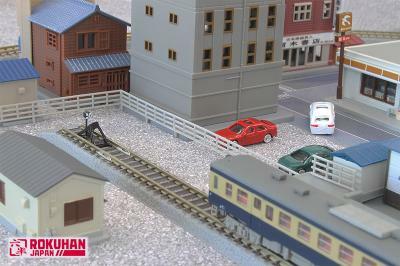 *In addition to one rail crossing function, it also has two turnout functions. 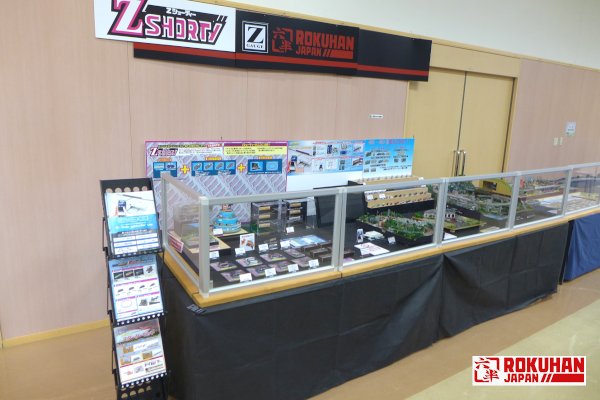 Please make reservation for our products at your Rokuhan hobby retailer. 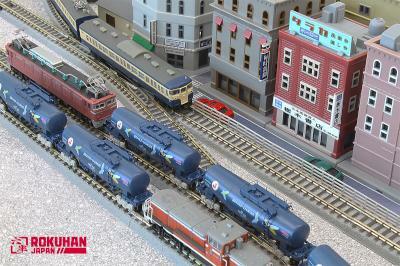 Please follow on Facebook:Delivery of "Switch-Yard Set" will start in February 2018! 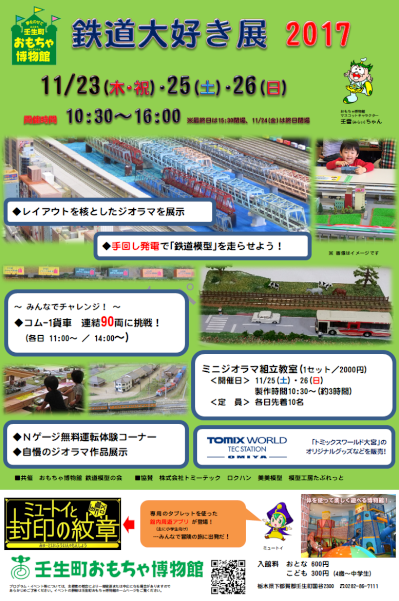 Announcement of Rokuhan Tokyo Showroom open! 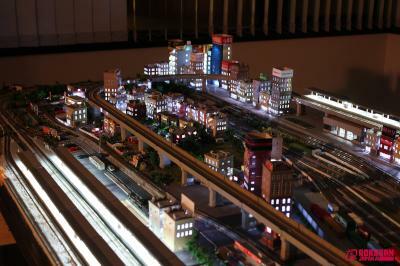 We would like to open a new "Rokuhan Tokyo Showroom" in Asakusa, Tokyo. 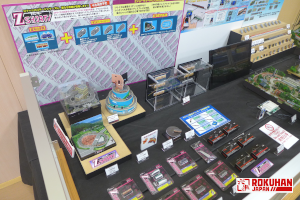 We display all of Rokuhan products at this show room. You can bring your own Z locos and make it run here. 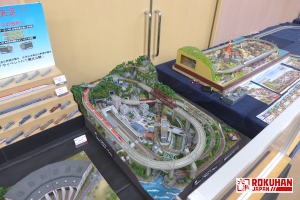 In the future, we will show other makers' Z scale products to introduce Z scale world, too. Please be informed date of Rokuhan Tokyo Showroom open. We look forward to your visit and see you at our show room! 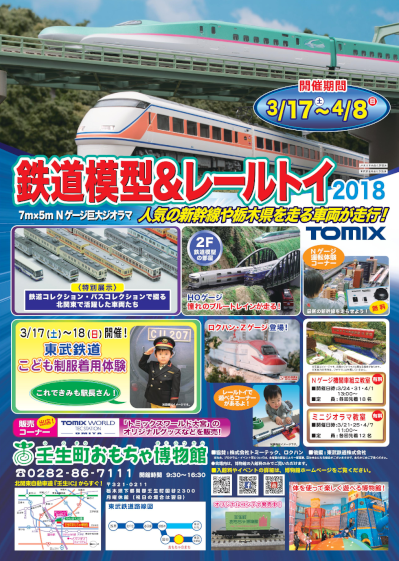 We Rokuhan will exhibit our products at "Model train and Toy train exhibition 2017" in Mibu, Tochigi. We really look foward to your visit and see you soon at our Rokuhan booth.